In more than 8 years of blogging, I never re-posted an article. That changes today, for good reason. Lita Watson, who blogs at Quick Easy Cook, wrote me a nice message because she read an old post of mine and thought I would be interested in her extensive research about spaghetti squash, from methods of cooking, to nutritional characteristics, including ten great recipes using it. I am quite fond of this type of squash because it is so light and when you need to counteract excesses – like what I’m going through right now during our vacation week in Colorado – it is a nice alternative to pasta. I can see myself grabbing a couple of squashes at the grocery store next week (wink, wink). So, without further ado, here is a link to Lita’s post. And a flash-back to my own article, in case you missed it. I considered calling this post Life-Changing Spaghetti Squash, but then decided it would be a bit much, after all many people don’t even care for it and rather have their lives unchanged, leaving the spaghetti squash behind at the grocery store. However, if you are like me and happen to love the process of making the strands magically appear at the tines of the fork, then enjoy them with a little browned butter, or a hearty Bolognese sauce… you should consider this method. You’ll need a pressure cooker with a steamer insert, and 8 minutes of your busy day. Eight short minutes and you will be rewarded with the best ever spaghetti squash, the strands will have such great texture that you will not use another method ever again. 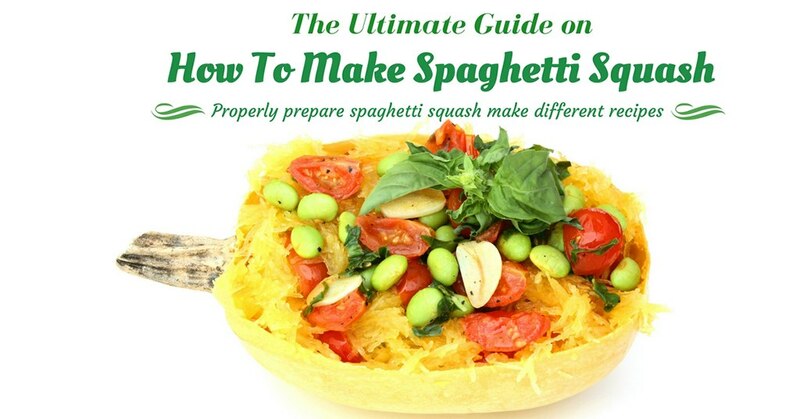 Instead of a regular recipe, I will walk you through the process, which starts exactly the same way as any other method… Cut the spaghetti squash in half and remove the seeds (I like to cut them crosswise but you can definitely do it lengthwise). Now, set up your pressure cooker with 1/2 cup water inside, and a steamer…. Place the spaghetti squash halves inside the steamer, it doesn’t matter if they don’t fit standing up, any placement will work fine…. Close the pressure cooker, once it reaches proper pressure cook for exactly 8 minutes. Open the pan right away by equalizing the pressure running the pan under cold water in the sink…. Marvel at the look of the strands, ready to be forked out without a single hard, uncooked spot…. Now, all you have to do is remove the strands to a serving platter, and enjoy the best, most perfect spaghetti squash ever, in record time! Comments: I eat a lot of spaghetti squash and have tried many methods to cook it. Most people like to roast it, but I intensely dislike doing so. More often than not I end up with chunks of the squash that never get tender enough to pull into strands, and then it’s a major pain, sticking it back in the oven or calling it a day and accepting the idea that some of it will be lost. One day I read about microwaving it, and it is an improvement in terms of time and convenience. You can cut it in half, remove the seeds, and microwave it for about 15 minutes. It cooks a lot more evenly, but the texture suffers a little. With the pressure cooker, all problems are solved: in 8 minutes you get spaghetti squash that will give you nice strands all the way through the skin. And the texture? Unbeatable! I know not many people have a pressure cooker, but if you are a spaghetti squash fan, it’s almost worth getting one just for preparing it. Not to mention black beans, artichokes, brown rice…. TWO YEARS AGO: Fifteen Years! I do hope you can find it, it is such a great ingredient! Might be reason enough to pull out my pressure cooker. I agree, roasting is a spotty method with inconsistent results. I love the squash but don’t think it combines well with tomato sauce which many recipes call for (and seem to ignore the fact that it is not really pasta and has a mild winter squash flavor). My own personal rant. Absolutely forgiven, I did not mean to give offense. Brown butter or anything with cheese would be my choice as well. I love spaghetti squash, unfortunately, it only appears on rare occasion in my little corner of the world. I have always roasted it and loved it that way, but I have pressure cookers, so I will give this a try the next time I find one. Great! Nice to have you here! I’m so glad I got my pressure cooker! Another great reason to use it. We have spaghetti squash in the store pretty much year round too. I need to get a pressure cooker. This looks lovely.